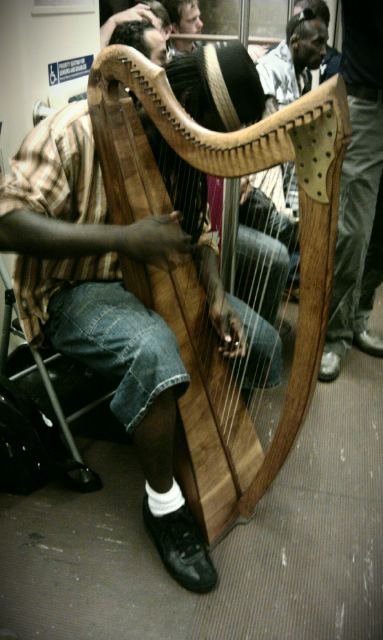 I’ve lived in Chicago, New York and the L.A. area and I’m pretty sure I’ve never seen one of these on a subway. The photo was taken on the Red Line. Looks heavy! I’ve seen the harp guy a few times. It’s so calming hearing him play.